One of the most popular software suites in the world, Microsoft Office is used by 1.5bn people worldwide. Almost everyone who used a computer in the past thirty years will have come into contact with Microsoft Word, Excel, or PowerPoint, sent an email through Outlook, or messaged someone on Skype. Millions of modern businesses rely on the suite’s tools to communicate, create documents, and balance their books. But there’s a lot more to Office than many users realize, particularly since the release of Office 365. If you’re considering taking advantage of Office in the cloud, or just want to find out a little more about the inner workings of this ubiquitous but oft-underrated set of digital tools, read on; we’re going back to basics to answer the most common questions about Office 365 as part of Microsoft FAQ series. Launched in 2001, Office 365 is a cloud-based, subscription model version of Microsoft’s popular productivity suite Microsoft Office. Office 365 contains the same core applications as traditional versions of Office, including Word, Excel, PowerPoint, Outlook, OneNote, and depending on the plan purchased, may also include other apps and services such as Publisher, Planner, OneDrive, Exchange, SharePoint, Access, Skype, Yammer, and Microsoft Teams. There are a number of different packages available when licensing Office 365, including versions for personal use, multi-user households, students, businesses, nonprofits, and education institutions. There are also online- and mobile-only versions of Office, known as Office Online, through which users can get access to feature-limited versions of Office apps for free. This FAQ will be focusing on Office 365 for Business unless otherwise stated. How is Office 365 different from previous versions of Office? Office 365 is a subscription-based service, meaning rather than buying a copy of the suite outright for a one-time, up-front cost, users instead pay a monthly subscription fee to access the service at a level of their choosing. With Office 365’s subscription-based model, users always have access to the latest version, as the platform is updated at Microsoft’s end, whereas as perpetual, on-premise users would have to buy a new copy of the latest edition to be able to use new features. Office 365 is also built as a cloud-first application; although desktop versions of its apps are available with certain plans, it’s designed to be used online. All applications, services, and data generated by Office 365 are hosted on Microsoft’s servers. Users don’t need to install software or maintain any hardware on which to run it. 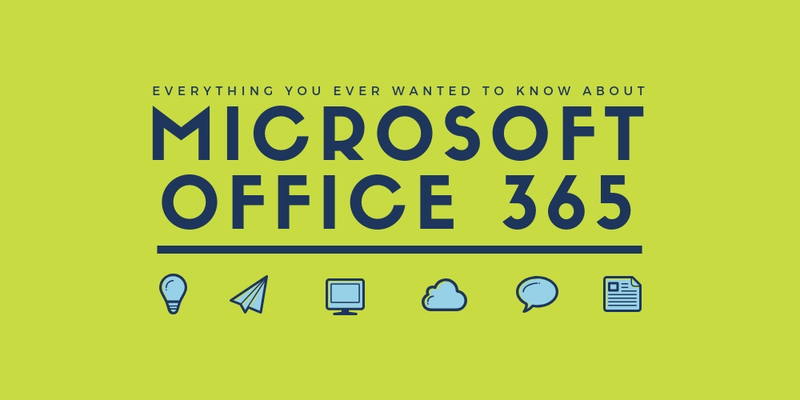 Office 365 also comes with email hosting, and cloud storage space, so users can host their files online and have access to them wherever and whenever they need to, from any device that connects to the internet. Being cloud-based, Office 365 also comes with a host of features not available in previous, perpetual versions. Who uses Office 365 for Business and why? Microsoft Office has been providing computer users with productivity tools for almost three decades; today, over a billion people use Office products worldwide. For businesses, however, Office offers a great deal more than word processing and spreadsheet editing. Though its eminent core apps still equip businesses with the basic tools they need to perform everyday tasks like managing data, create documents, and communicate information, Office has evolved into a vast suite of intelligent tools that allow organizations to be more productive and efficient. And with many tailored plan options available, companies of all sizes and circumstances can get access to these tools instantly. Services such as Outlook can provide a powerful, professional-looking platform through which businesses can build brand recognition and market their services. Outlook’s extensive calendaring features can also help organizations better collaborate and manage their time. With Office 365, all apps and services are connected, both to each other and to the wider web, facilitating teamwork, saving employees time and enabling them to work better together through tools such as team chat, online meetings, co-authoring and sharing files, and group emails. The inclusion of cloud storage and mobile apps in the Office 365 suite also allows organizations to work wherever, whenever, with secure access to content, conversations, tasks, and schedules from any device. With data security a hot-button topic for organizations across all industries, many businesses choose Office 365 because of its layered security measures, proactive data monitoring, privacy protection, and 99.9% uptime service level agreement. Great productivity tools help everyone in an organization be more productive, communicate more effectively, and get more done. The Office 365 suite makes performing essential tasks like finding information, sharing knowledge, communicating with colleagues, processing data, and planning and organization faster and more straightforward, reducing time spent on administrative tasks and leaving businesses more time to create, innovate, and move the business forward. Using a cloud-hosted productivity suite can also have a positive effect on a company’s bottom line. Not only are subscription-based services typically more cost-effective, and more flexible if business circumstances change, Office 365 does not require any hardware investments. All infrastructure is handled at Microsoft’s end, reducing the need for IT expertise manage the suite in-house and potentially reducing spend on internal IT services. What is the difference between Office 365 for Business and G Suite? While Microsoft has long-dominated the productivity software market, the business world remains, broadly speaking, Office-dominated; if someone wants to send you a document or spreadsheet, you can make a safe bet that it’ll be in Word or Excel format. However, the spread of cloud computing has leveled the playing field somewhat when it comes to business software, giving organizations of all sizes access to products and services that would previously have required a hefty outlay in hardware and software expenses. Now, digital business tools are more accessible, and modern businesses are slowly moving towards a new way of working. This shift has given rise to a number of potential challengers to Microsoft’s productivity crown. Traditional alternatives to Office like Corel WordPerfect and LibreOffice are yet to make the jump to cloud-based suites, leaving Google’s G Suite the only real alternative to Office 365. Like Office 365 G Suite has a popular free version which includes ad-supported versions of apps like Google Docs, Google Sheets, and Google Slides, alongside an allowance of free cloud storage and email hosting. But, the suite also has a subscription version, aimed at businesses and enterprises of all sizes. G Suite features many similar functionalities to Office 365, like business email addresses, secure messaging and email encryption, security and admin controls, video and voice calls, and extensive support. There are three subscription levels with G Suite, ranging from $5-25 per user, per month; a simpler structure than Office 365’s seven-layered licensing structure, but similar in price. The big difference here is when you get up to Microsoft’s Enterprise level plans, they must be paid for upfront for the year. Users should examine each of Office 365’s plans carefully, as certain plans don’t come with things one might assume will be included, like email accounts and calendar functionality. Generally speaking, when taking into account apps, emails, and file storage, Office 365’s entry-level subscriptions are more generous that G Suite’s, and the two are pretty much on-par when you get up to the mid-level plans. Some key disparities, when it comes to the apps included in these suites, lie in the areas of business continuity; Microsoft’s apps are more feature-rich than Google’s, and most of the Office 365 plans come with desktop versions of the included apps, whereas G Suite is cloud-only. How is Office 365 different from Microsoft 365? You might have heard talk of Microsoft 365, introduced by Microsoft in mid-2017. Despite its similar branding, Microsoft 365 is not to be confused with Microsoft Dynamics 365, or Office 365. Office 365 is a cloud-based suite of productivity apps, while Microsoft 365 is a package of services which includes Office 365, alongside other business tools. A user can subscribe to Office 365 without also subscribing to Microsoft 365—but all Microsoft 365 users will also have access to Office 365. Microsoft 365 was developed to give businesses access to all the baseline tools they need to run their basic IT infrastructure, secure their business, and get things done. Alongside Office 365, Microsoft 365 includes Windows 10 Enterprise, and Enterprise Mobility + Security (EMS), meaning subscribers get access to features like email and calendaring, file storage, data protection controls, cyber threat protection, administration and deployment controls, and a 99.9% uptime guarantee. All the services included in Microsoft 365 are available separately, though many businesses may find it more convenient and cost-effective to opt for the Microsoft 365 bundle, especially if they are not existing Microsoft business customers. What apps and services does Office 365 for Business include? Some Office 365 applications also have mobile versions to help business do more on the go, including Word, Excel, PowerPoint, OneDrive for Business, Skype for Business, Yammer, and OneNote. Office 365 subscriptions also include 1 TB of OneDrive for Business cloud storage for each user. Many Office 365 plans include SharePoint Online; a cloud-based service, hosted by Microsoft, for businesses of all sizes. Instead of installing and deploying SharePoint Server on-premises, any business can subscribe to an Office 365 plan or to the standalone SharePoint Online service. Your employees can create sites to share documents and information with colleagues, partners, and customers. All Office 365 plans except Office 365 Business or Office 365 ProPlus include SharePoint Online. OneDrive is Microsoft’s cloud-based file storage service. All kinds of files, including documents, images, music, and video can be stored on OneDrive, and these files can be accessed, managed and shared securely from almost any device, provided it has internet access. OneDrive is where all files are stored for Office 365 users, and allows files to be synced across desktops, browsers, and mobile devices. All Office 365 business and enterprise-level users receive 1TB of OneDrive storage, with subscribers to Enterprise E3 and E5 plans receiving unlimited cloud storage. Over 85% of Fortune 500 companies use OneDrive for Business, and if a company is not subscribed to Office 365, they can subscribe to OneDrive for Business as a standalone service. OneDrive for Business can be deployed either: in a public cloud, more often than not as part of an Office 365 plan; as a hybrid service in conjunction with SharePoint 2016; or on-premise, as part of SharePoint 2013 or 2016 deployments. Skype for Business is a version of the popular chat and conferencing service designed specifically for commercial use. Through Skype for Business, organizations can access all the telecommunications tools they might need on a daily basis, including send instant messages between colleagues, utilize video conferencing features, record conversations, share screens, give whiteboard presentations, and hold meetings with up to 250 people at a time, from any device. Skype for Business integrates with other apps in the Office 365 suite for seamless communication and collaboration. What happened to Microsoft Lync? Microsoft Lync, released in 2011, was an instant messaging client for Microsoft users. It was replaced by Skype for Business in 2015. Extended support for customers still using Microsoft Lync ends in April 2023. Skype for Business features all of Lync’s capabilities, plus additional functions like offline messaging, multi-party HD video, and file transfer preview. Primarily a chat-based collaboration product, Teams’ main function is to facilitate teamwork and promote productivity, with three key areas of functionality; chat, project management, and extensive integration with Office 365. Teams brings together the chat capabilities of Skype for Business, along with collaboration tools like document sharing, useful AI-powered features such as chatbots, and online project management tools, providing a hub for modern teams to work. Teams was initially launched as a largely chat-based communications platform, and Microsoft is currently working on bringing Skype’s full functionality into Teams. In the meantime, Microsoft has stated that Skype for Business users should continue to use Skype for Business until Microsoft Teams’ capabilities meet their needs, however, it’s also encouraging users to start using Teams alongside Skype, which will make migration and user adoption a much easier process when the time is right. Yammer is a social network for enterprises that aims to help employees connect and communicate. It provides a space for cross-departmental messaging and information sharing; Yammer is essentially the “outer circle”, for delivering organization-wide news, announcements, and engagements. Think of Yammer a digital company message board. It differs from Teams in that Teams is designed for fast, intimate, and close-knit collaboration between project teams, and features a number of project management and document sharing tools. Microsoft Exchange is Microsoft’s email server solution. It’s the foundation on which email clients such as Outlook run. Everything that happens in Outlook—incoming and outgoing mail, tasks, contacts, calendars— is stored and processed on the Exchange server. Exchange allows organizations to create their own, independent mail system. Microsoft Graph is an API. API stands for Application Programming Interface—these interfaces enable a piece of software to allow another piece of software to use its data and/or functionality in a structured, predefined way. For example, if you go to buy a movie ticket on a theatre’s website using a credit card, the site will use an API to communicate with your credit card provider in order to verify your details and complete the transaction. These two sites are totally disparate, and do not share any data; the API gives them an interface through which they can connect behind the scenes and exchange information securely. Microsoft Graph does the same thing for all apps and services under the Microsoft 365 umbrella, acting as a sort of digital switchboard through which Office 365, Windows 10, and EMS can relay data. The Graph connects users, emails, calendars, tasks, and devices, and helps users find relevant, contextual data wherever it may be located within Microsoft 365. Users generate an enormous amount of data every day, and Microsoft Graph helps make the most of that data by allowing it to be shared among apps, rather than being siloed. Using Microsoft Graph, developers can build their own apps and workflows which utilize Microsoft 365 data, bringing new functionality to the solution and helping developers integrate their services with platforms like Azure, Excel, Intune, Outlook, One Drive, OneNote, SharePoint, Planner, and more. Need talented Microsoft Office 365 professionals on your team? Find the candidates you need in your own time, on your own terms with our free Candidate Search. The best available Microsoft technology professionals in one place. What plans are available for Office 365 for Business? There are currently two licensing models for business users wanting to implement Office 365. Companies with less than 300 users can opt for one of three Office 365 for Business plans, and for larger companies, there are four Office 365 for Enterprise plans, all of which support unlimited users. License types can be mixed to suit the needs of the business. How much does Office 365 for Business cost? Discounts are available for Office 365 enterprise agreement customers (typically 250+ licenses) who want to purchase through volume licensing. Is there discount pricing for certain organizations? There is significantly reduced pricing available for educational institutions and nonprofits. Nonprofits can get Office 365 Nonprofit Business Essentials, usually $5 per user, per month, for a donation, and Office 365 Nonprofit Business Premium for $3 per user, per month, rather than $12.50. Office 365 Education, which includes Word, Excel, PowerPoint, OneNote, Microsoft Teams, and other classroom tools, is available to eligible academic institutions—those with school-specific email addresses and internet access—for free. How is Office 365 for Business deployed? Though many Office 365 plans include downloadable desktop versions of popular Office apps, the suite itself is hosted by Microsoft, rather than on the customer’s own in-house servers, and its services are largely accessed through the web. As such, internet access is needed to implement and launch all Office 365 plans, and customers will need to go online to manage their account. Internet connectivity is necessary to access Office 365’s cloud services, like email, conferencing, and system management. 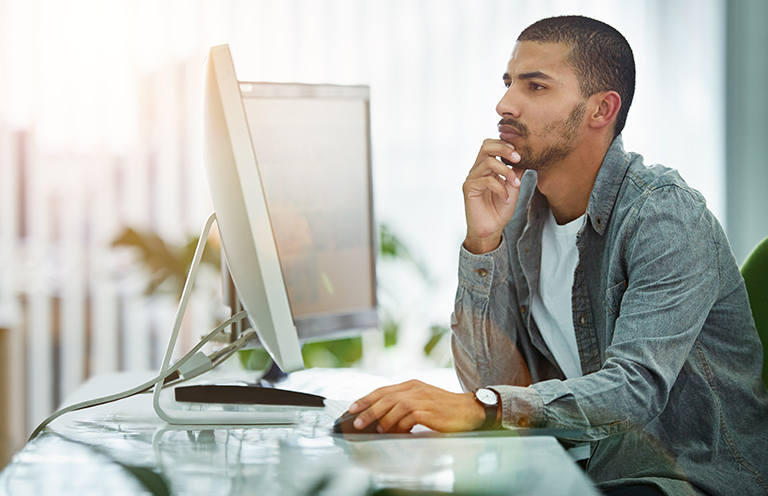 Desktop versions of certain Office apps allow customers to work offline if required, and sync all offline documents once the device is reconnected, ensuring all work is up to date. How long does Office 365 for Business take to implement? As much of Office 365’s infrastructure is hosted at Microsoft’s end, and the installation of desktop versions of its apps is optional, most Office 365 implementations can be executed in a matter of days. However, for businesses users, there’s likely to be a large amount of legacy data to be migrated in terms of documents, emails, contacts, shared calendars etc. Office 365 implementation partners can help new users transition to Office 365 smoothly, and get everything configured correctly. Typically Office 365 implementation would entail migration of email data to Office 365 from Exchange, consultation to ensure the alignment of processes to business needs, set up of services like Enterprise Mobility and Security (EMS), Skype, and Yammer, service element design, and security configuration. What is FastTrack deployment for Office 365? FastTrack is a free deployment service provided by Microsoft to help businesses get Office 365 up and running quickly. This service is carried out remotely. FastTrack is only available to customers purchasing 50+ licenses, and customers with upwards of 500 licenses will receive additional technical support and software solutions to help migrate data to the cloud. FastTrack guidance includes core onboarding, service onboarding, and data migration, user adoption services, and account set up for Exchange Online, SharePoint Online, OneDrive for Business, Skype for Business Online, Microsoft Teams, Power BI, Project Online, Yammer Enterprise, Office 365 ProPlus, and Microsoft StaffHub. It’s important to note that the service provides remote guidance only; Microsoft will not send technicians to set up Office 365 on the customer’s behalf. Office 365 plans eligible to receive FastTrack deployment assistance are: Office 365 Business, Office 365 Business Essentials, Office 365 Business Premium, Office 365 Enterprise E1, Office 365 Enterprise E3, Office 365 Enterprise E4, Office 365 Enterprise E5, Office 365 ProPlus, all Office 365 US Government plans, and Office 365 Education plans A3 and A5. Can Office 365 be used with previous versions of Office? Many existing Office customers who currently run a perpetually licensed, on-premise version of Office can use Office 365 and enjoy all the features that cloud connectivity brings with it. Office 365 works best with Office 2016, the latest version of Office, but also works with Office 2013, and Office 2011 for Mac. Older versions of Office, such as Office 2010 and Office 2007, may also work with Office 365 but might operate with reduced functionality. According to a recent report, Office 365 is the most popular suite of applications in the enterprise sector, even beating out non-productivity products like Salesforce, and cloud service platforms like AWS to be crowned the most-used in the sector. Within Microsoft’s own ranks, Office 365 is thought to be the biggest revenue generator in Microsoft’s “commercial cloud” stable of products, which also includes, Azure, Dynamics 365, Power BI, and Enterprise Security + Mobility, demonstrating just how ubiquitous and peerless the suite is when it comes to product software. The business productivity tools market itself is worth $15bln, so there’s a lot to play for, but despite enterprise users of Google’s G Suite climbing to 4 million this year, Office 365 continues to dominate. In October 2017, the number of Office 365’s monthly business users reached 120 million, up from 100 million in April 2017. In Q4 FY 2017, revenue from subscription licensing of Microsoft Office surpassed revenue from traditional, perpetual licensing for the first time, further illustrating Microsoft users’ gradual adoption of both cloud technology and subscription licensing. Around the same time, Microsoft reported that it was running ahead of its projected timeline for moving all Office users to the cloud; the company expects 70% of its Exchange/Outlook users to be using Office 365, rather than on-premises versions, by 2019. What kind of jobs are available working with Office 365? An Office 365 Consultant will provide pre- and post-sales consultancy to Office 365 customers, assisting them in the preparation for, transition to, and delivery of, their Office 365 solution. They’ll confer with the end user organization to gather requirements, establish exactly what they need from Office 365, and work out how best to deliver on those requirements, liaising with IT infrastructure managers, IT directors, and architects to create a roadmap to implementation. An Office 365 Architect is responsible for executing the end user’s vision of Office 365 through migration, configuration, and assessment, planning, and design of technical solutions. An Office 365 Administrator can be given many different titles, but the core responsibilities are the same; provide business-as-usual support, undertake any project-based work that may arise, and deal with escalations from the first-line or helpdesk support team. The admin will be the go-to Office 365 expert in their organization, and ensure the solution is always running efficiently by performing tasks such as installing updates and reconfiguring settings to ensure optimal performance. A Microsoft Unified Communications Engineer will provide technical support and maintenance for the digital and telecommunications elements of Office 365, including Lync/Skype for Business, Exchange, and Active Directory. What Office 365 certifications are available? IT professionals who want to earn a certification in Office 365 should follow the Productivity track within Microsoft’s new certification plan, which covers Microsoft Office 365, Exchange, Skype for Business, and SharePoint. There are two certifications on the Productivity track; the mid-level MCSA: Office 365, and the top-level MCSE: Productivity. To earn the MCSA: Office 365, which demonstrates your skills in transitioning to and administering cloud-hosted business applications with Microsoft Office 365. Entrants are required to pass two exams; Exam 70-346: Managing Office 365 Identities and Requirements, and Exam 70-347: Enabling Office 365 Services. Though the MCSA: Office 365 is the most relevant to professionals working or wishing to work with Office 365, entrants can also hold the MCSA: Windows Server 2012, of MCSA: Windows Server 2016 to qualify to sit the MCSE: Productivity exam. Each exam costs USD $165 per attempt, so attaining an MSCA would cost USD $330, and an MSCE a further USD $165. This cost is for a single attempt, and retakes must be paid for again. PC: 3.0 GB of available disk space. Mac: 6 GB of available disk space. HFS+ hard disk format (also known as Mac OS Extended or HFS Plus). PC: 1024 x 768 1024 by 768 screen resolution. Mac: 1280 x 800 1280 by 800 screen resolution. PC: Windows 10, Windows 8.1, Windows 8, Windows 7 Service Pack 1, Windows Server 2016, Windows Server 2012 R2, Windows Server 2012, or Windows Server 2008 R2. Mac: Mac OS X 10.10 or later. Up-to-date version of Internet Explorer, Microsoft Edge, Safari, Chrome, or Firefox. .NET 3.5 required. Some features may require .NET 4.0, 4.5, or 4.6 CLR also to be installed. As Office 365 is a cloud-hosted platform, many new and prospective customers will have questions about security and privacy. A company’s data is its most valuable asset, and as we’ve seen in numerous high-profile data breach cases in recent years, the consequences of failing to adequately secure business data are severe. While no cloud service can be guaranteed to be impenetrable, hosting business data and infrastructure in Microsoft’s public cloud allows users to take advantage of the company’s mammoth investments in security. Office 365 data is held in Microsoft’s global data centers, where dedicated threat management teams actively anticipate, prevent, and mitigate malicious access 24/7; a level of security that virtually no company can operate in-house. Office 365 comes with native antivirus, anti-spam, and anti-malware as standard. All communications are screened with Exchange Online Protection (EOP), and email is encrypted both at rest, and in transit with SSL/TLS. Office 365’s Message Encryption feature enables users to send encrypted email to anyone, no matter which email service recipients use. File-level access can be assigned to individual users through Azure Rights Management, ensuring only those with the right user credentials can access sensitive information, and multi-factor authentication safeguards access to the service. What Admin Centers exist for Office 365? There is now one single admin center for Office 365, known as the Microsoft 365 admin center. All Office 365 customers will use this admin center, whether they license Office 365 as part of a Microsoft 365 plan or not. Through this admin center, administrators can manage and monitor applications, services, data, devices, and users. Administrative settings for all Office 365 applications, such as SharePoint and OneDrive, are accessible through the Microsoft 365 admin center. Take the hassle out of finding great Microsoft Office 365 professionals—submit a few details about what you’re looking for, and we’ll create a job spec that will help attract the right talent for your business. Take the first step towards a great hire with just a single click.